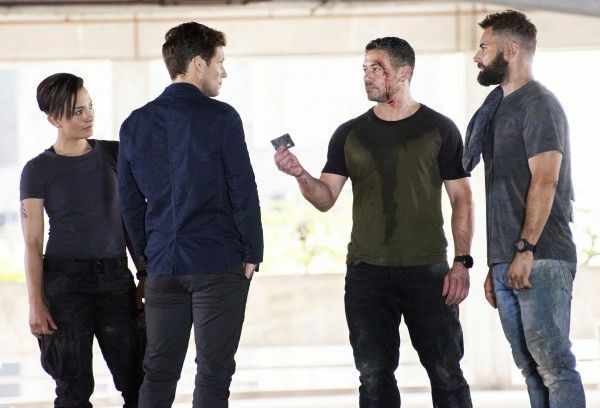 The high-octane, action-packed Cinemax series Strike Back is in its sixth season, and the covert special-ops soldiers of Section 20 – Thomas “Mac” McAllister (Warren Brown), Samuel Wyatt (Daniel MacPherson) and Gracie Novin (Alin Sumarwata) – are now taking orders from their new commanding officer, Col. Alexander Coltrane (Jamie Bamber). Following the lead of someone looking for his own redemption, Section 20 finds itself on the trail and in pursuit of the stolen contents of a Russian jet, leading them across Southeast Asia on a mission to save the world from global conflict. 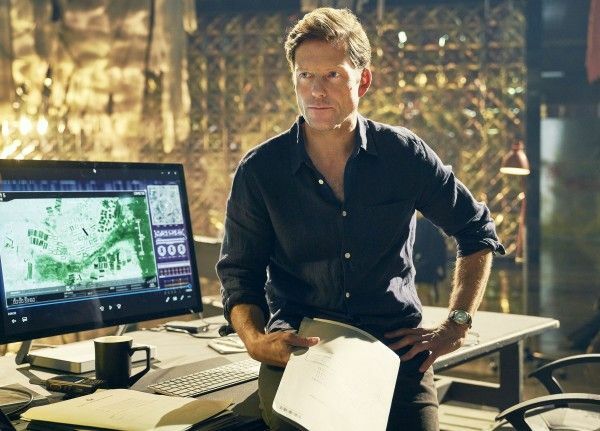 During this 1-on-1 phone interview with Collider, actor Jamie Bamber talked about what drew him to this role, what makes Strike Back different from anything he’s done before, being the new guy, the challenges of shooting in Malaysia, how much we’ll learn about his character, the stress of saving the world, and how proud he is to be involved with this show. He also talked about the incredible experience he had making Battlestar Galactica, and why it will always hold a special place in his heart. Collider: I’ve watched this show for a long time and it’s always fun because every season changes things up a bit, and that certainly seems to be the case this season, as well. JAMIE BAMBER: Yeah. I have to be honest, I haven’t seen too many of the previous seasons. I saw a bit of last season, just to catch myself up, and I saw the very first TV movie. All I knew, going in, was that they’re not very nice to their superior officers, which is what I play, so I was guarded and ready for the worst. Signing on to be a part of this cast seems a little bit of a life-or-death proposition, with the level of intensity and the action on the show. What was the appeal of this show for you, and were you prepared for just how intense it would be? BAMBER: No, not really. When I signed on, I only read one script, and this character was described as their new commanding officer, and commanding officers tend to give orders and not have to necessarily get into too much of the dirty work. But the thing that got me was that, in describing Alexander Coltrane, (executive producer/writer) Jack [Lothian] said, “What if James Bond became M?” And I thought that was a pretty good hook to entice any actor into playing a role. He’s been boots on the ground. He’s Special Forces trained, and now he’s in more of a commanding role. He’s had some tragedy in the past, when he lost a group of young men in Helmand Province in Afghanistan. He’s hit the bottle and he’s taken a back seat, and this is his chance at redemption. It’s his shot at getting back onto the front line from semi-retirement, which is where he’s been, but his shot at redemption are these three really crazy, disobedient, hard knock solders. He views them as a challenge, but they represent his salvation, too. 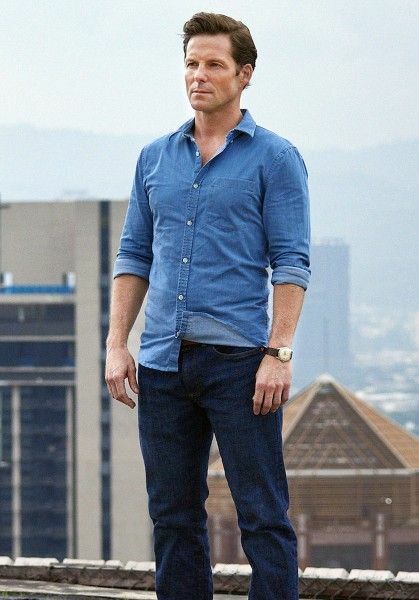 I thought that was a pretty neat set up, in terms of getting into the world of Strike Back, and that would put him in a pretty interesting place, in terms of the stakes, which are pretty high, right from the word go, for him, personally, and for these people, who are also coming back from a career setback. That was all I knew, at the beginning, but it was enough to get me interested. You’ve worked on a variety of different TV projects, throughout your career, but this show feels like it’s in a league of its own. What makes Strike Back different from anything you’ve done before? BAMBER: The emphasis on action and the refusal to be cowed by the fact that we’re a television show and not a big movie. The level of detail and commitment to trying to deliver big action sequences on Strike Back is unlike anything else I’ve ever been involved with on television, with the exception perhaps of Band of Brothers, which was a very different kind of television. It wasn’t pure action, but when they did action, they did it Saving Private Ryan style. This does that, or tries to do that, in a Special Forces capacity, which is always, by definition, trying to be covert, every single episode. And not just every episode, but three times an episode. So, that level of commitment to the action and the ambition is what separates it. It’s tremendous fun, as an actor, to be on a show that not only can do that, but challenges itself to do that, every week. That’s really what makes it special. This show also shoots in different countries, and you’re outdoors using that country, a lot of the time. What’s it been like to shoot in Malaysia? What do you like about working there, and what are the challenges specific to shooting somewhere like that? BAMBER: There’s the heat and the humidity. If you could imagine being the wardrobe department and keeping costumes, not necessarily dry ‘cause that’s impossible, but just trying to keep the continuity. With someone like me, I sweat in the subway in London in June. We are not only in that heat and humidity, where the only thing I can get away with wearing, as a civilian, is flips flops, shorts and a t-shirt, but we’re wearing military fatigues sometimes. We even did a sequence where we were pretending to be in the snow in Russia, in that heat and humidity. So, it’s logistically and physically hard. The amount of liquid you have to consume, during the day, you have to really keep on top of it. So, that was a challenge, but it’s also the greatest asset because it changes the physicality of every scene. You can’t shoot that anywhere else than in the topics. You can’t get that feel. We got to shoot in these amazing locations, and it was great. Being in that part of the world poses some issues and problems, on a personal level. I’m married with three kids, and I was away from them for a very long time. They did come out for a month, in the middle, but on a personal level, you do put your whole life on hold, and that’s challenging, just to keep all of the aspects of your life in sync. But, it’s a beautiful part of the world. We took my family to Vietnam and to Borneo. They all learned to scuba dive, and saw orangutans and proboscis monkeys, which is amazing. And then, the flip side of that is, I was in Malaysia, as an 18-year-old, 27 years ago, which was the only other time I’ve been in that part of the world, and I really got a before and after shot of what third world development looks like, over a 27 year period. It’s totally transformed that part of the world, and not for the better, so that was a bit depressing, on many levels, environmentally, in terms of urban planning, and just the speed and the rapidity with which people are keen to get stuck in modern consumer society. That bit was necessary to see, but I can’t say that I enjoyed it. You’re the new guy on set, on this show, and you’re leading a team that’s been there for a little bit. What was that like, as an actor? Are you someone who gets nervous about starting a TV series, especially when you’re starting it with actors who have already been together for a bit? BAMBER: Of course, always, yeah. It’s like you’re a new signing on a soccer team. You’ve signed up and you’ve gotta prove your worth and be an appreciated part of the team, so there’s always a bit of apprehension, and it’s not just with the other actors, but also with the producers, directors and writers. You very quickly want to make your mark and be seen as an asset, so that they can write to your strengths and look after you, as an actor and as the character in the piece. The eight episodes aren’t all written, when you show up, so there’s always that slight level of having to prove yourself. But as far as the actors were concerned, I couldn’t have been welcomed with more excitement and grace. Warren [Brown] and Dan [MacPherson] were having breakfast, on my first or second morning, and they’d already been to the gym for an hour and were looking extremely intimidating and impressive, and there I sidled up. They came straight over and couldn’t have made me feel more welcome, but there was also a little gauntlet thrown down, in the sense that they were so confident with the weapons and the logistics tactical aspect of portraying Special Forces soldiers. It was quite clear to Yasemin [Allen] and I that we had a lot of catching up to do, to get to their level of proficiency. Alin [Sumarwata] is ridiculous with guns. She can strip them and put them back together whilst having a conversation. They’ve really done the groundwork to inhabit those characters, and we’re coming late to the party. I’ve played a few soldiers, in my time. I’ve been working for a long time and played my fair share of military characters, so I bring a bit to the table, as well, but these are muscles that you can lose, and I had to catch up. They don’t stand for fools – Dan, Warren and Alin. They need people to take it as seriously as they do, and I respected them for that. They’d only been there one more season, but that’s everything, in terms of this particular journey. So, it was a good balance of an open-armed welcome, but also a challenge that was thrown down. I portray someone who’s coming into a situation in which he’s mistrusted explicitly by these three people that he meets, and it’s his personal challenge to win them over and turn them into a disciplined unit. It’s his shot at redemption from previous mishaps and disasters that he’s had in the past. Because this is a show that always moves fast, it seems that sometimes it takes a little while before we learn the histories and backstories for the characters because it takes a minute before you can even catch your breath. Will we feel like we know this guy, by the end of the season? BAMBER: Yeah, you really don’t. Strike Back doesn’t feed you character history and backstories very often. There’s no time for that. What I’ve learned, since watching the post-production process from laying down additional dialogue, is that the edit is extremely tight. They really cut any air out of the show. It’s relentless, with the pace and energy. It’s literally high-octane, testosterone-fueled storytelling, so there isn’t room for many stories being told about the past. A lot of it comes through behavior and the way people deal with situations, pressure and action, and how they react to each other, in different situations. By the end, you do get a fairly good idea of who this character is. You do get a bit of an introduction, in the gusset that surrounds his arrival on scene, but there’s nothing much. I enjoy that kind of work. When I did Law & Order, it was like that. Nobody knows anything about the characters in Law & Order. You’re really just a vehicle to tell a particular crime story of the week, and gradually, the character emerges through the way you react to suspects. This is very much the same. You gradually see the points at which he becomes stressed, you see the risks he’s prepared to take, and you see the orders he’s prepared to give and not give. By the end, you will get to know the guy, but it’ll take awhile. As per usual, this team seems to have to face endless mercenaries and terrifying bad guys, in an attempt to save the world from global destruction. How big of a challenge will that be this season, and is that something that this guy was ready and prepared for, at all? BAMBER: I think it’s big. It’s always big. It’s James Bond big, in terms of the scope and the reach of the stories. We’re in different countries, with every episode or two, and by the end of it, we’ve traveled a great deal around that part of Asia. The stakes couldn’t be higher. You know, from pretty early on, that Coltrane is someone who’s dealt with some pretty serious situations in the past. He’s a Colonel in the British Army. He’s been in Afghanistan. He’s been in the Balkans. He’s been in Sudan. He’s been in all sorts of different areas of conflict around the world, and he’s used to it. He’s someone who’s gotten his hands dirty in the past, although now he’s an older guy and he’s coming out of semi-retirement to deal with these people. It’s a tremendously pressurized position to be in because this unit doesn’t exist. Section 20 is covert as it gets. We’re not even aware of them, in the broader political and social world. So, that’s the stress that he has to deal with, in keeping these guys quiet, and anybody who knows Strike Back knows they are not quiet for long. God only knows what the press would be making of the body count, as they travel around Southeast Asia, with this unaccounted string of flare ups and fire fights and corpses that are around the place, in various different guises. It’s extremely stressful to be the superior officer that has to carry the can back to Whitehall, to the UK, and to the US. With Coltrane, you get that understanding of what it must be to be responsible, not only for the stakes that this particular mission represents, but for the collateral damage that’s inevitable when Section 20 is involved. We joke about that, all the time, on the set. How the heck has this not become front page news, all over the place? But the romance of Strike Back is that they’re able to keep their faces out of the papers. This show is so crazy because it always takes me a minute to realize that I’m holding my breath with the action sequences. You have to remind yourself to actually breathe when you’re watching episodes of Strike Back. BAMBER: Yeah, you’re absolutely right. I couldn’t be prouder to be involved with the show. I love the people that make it. I can understand why people fall in love with it. The subject matter can be violent, but it’s nothing, if not exhilarating. Essentially, all it is, is a wonderful buddy movie. It’s a film about people willing to sacrifice themselves for the good of the team around them. Once you attach yourself to the characters, it’s a really fun caper. It’s the team television version of James Bond. They seem to get it right when they have to, they react right under stress, they rag on each other, they’ve got some good one-liners, and we tell a story. We certainly reflect back to what’s going on in the world, in terms of the bad guys we run into. It’s fun, and I think it should be fun. Who is EastEnders actress Katie Jarvis and who is her character Hayley Slater?